Attention Doctor Who fans! 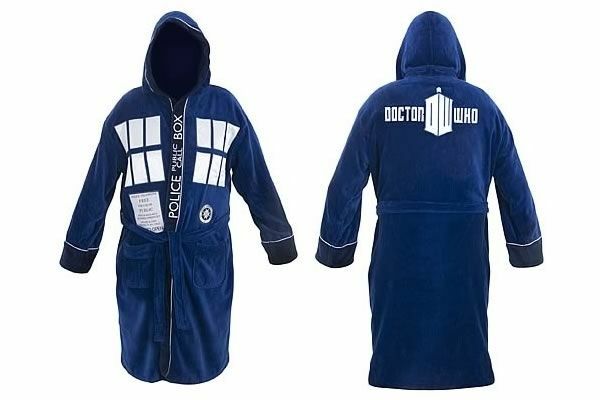 Behold the extremely comfy Doctor Who TARDIS Hooded Bath Robe from theÂ NeatoShop. This brilliant robe is made of soft cotton terrycloth with embroidered details. It is perfect for lounging and viewing your favorite British science fiction television program. We think the good doctor would approve. Of course it got my attention. 😀 If you want to purchase it you can find more information here.